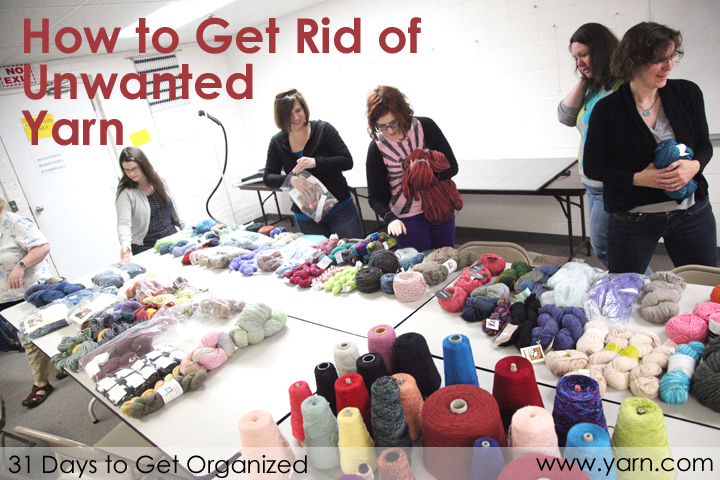 Continuing in the WEBS Yarn’ s Organization Series is a great how-to post: how to ditch the seemingly millions of skeins you’re not going to ever knit with, not even if a nuclear winter is looming and you’re the only person with fibre skills in your state/province. Dena gives four great ideas and also ways to implement them. Go check it out!